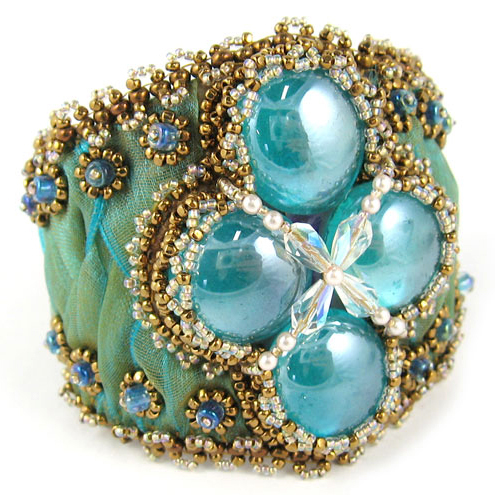 This bead embroidery project brings fiber, beads, and glass stones to make a gorgeous cuff bracelet. 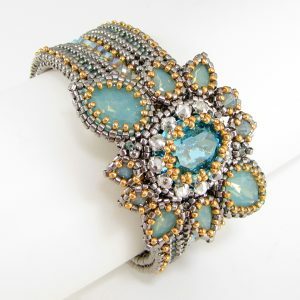 The project is easily sizable and requires only a basic knowledge of bead weaving and bead embroidery. 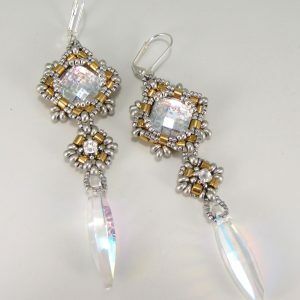 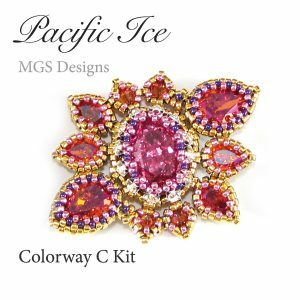 To stitch this project you’ll need ribbon, glass stones, seed beads, pearls, and drop crystals.